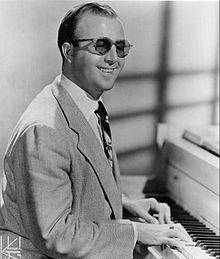 Sir George Albert Shearing, (13 August 1919 – 14 February 2011) was a British jazz pianist who for many years led a popular jazz group that recorded for Discovery Records, MGM Records and Capitol Records. The composer of over 300 titles, including the jazz standard “Lullaby of Birdland”, had multiple albums on the Billboardcharts during the 1950s, 1960s, 1980s and 1990s. He died of heart failure in New York City, at the age of 91. Though he was offered several scholarships, Shearing opted to perform at a local pub, the Mason’s Arms in Lambeth, for “25 bob a week” playing piano and accordion. He joined an all-blind band during that time and was influenced by the records of Teddy Wilson and Fats Waller. Shearing made his first BBC radio broadcast during this time after befriending Leonard Feather, with whom he started recording in 1937. In 1940, Shearing joined Harry Parry’s popular band and contributed to the comeback of Stéphane Grappelli. Shearing won six consecutive Top Pianist Melody Maker polls during this time. Around that time he was also a member of George Evans’s Saxes ‘n’ Sevens band. Shearing’s interest in classical music resulted in some performances with concert orchestras in the 1950s and 1960s, and his solos frequently drew upon the music of Satie, Delius, and Debussy for inspiration. He became known for a piano technique known as “Shearing’s voicing”, a type of double melody block chord, with an additional fifth part that doubles the melody an octave lower. (This style is also known as “locked hands” and the jazz organist Milt Buckner is generally credited with inventing it. In 1956, Shearing became a naturalized citizen of the United States. He continued to play with his quintet, with augmented players through the years, and recorded with Capitol until 1969. He created his own label, Sheba, that lasted a few years. Along with dozens of musical stars of his day, Shearing appeared on ABC’s The Pat Boone Chevy Showroom. Earlier, he had appeared on the same network’s reality show, The Comeback Story, in which he discussed how to cope with blindness. In 1970, he began to “phase out his by-now-predictable quintet” and disbanded the group in 1978. 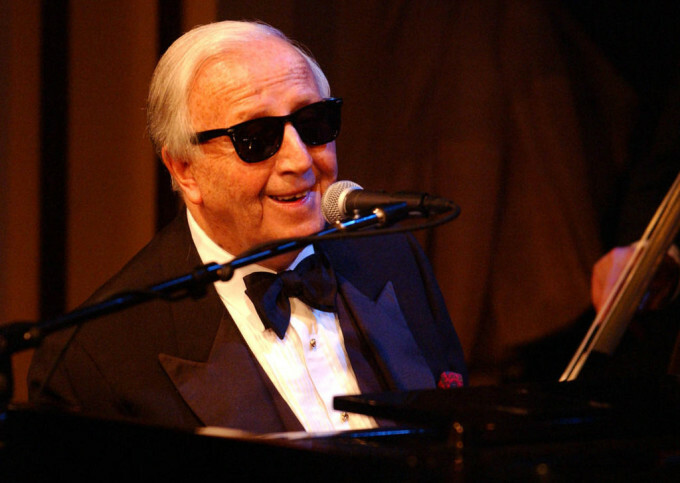 One of his more notable albums during this period was The Reunion, with George Shearing (Verve 1976), made in collaboration with bassist Andy Simpkins and drummer Rusty Jones, and featuring Stéphane Grappelli, the musician with whom he had debuted as a sideman decades before. Later, Shearing played in a trio, as a soloist, and increasingly in a duo. Among his collaborations were sets with the Montgomery Brothers, Marian McPartland, Brian Q. Torff, Jim Hall, Hank Jones, and Kenny Davern. In 1979, Shearing signed with Concord Records, and recorded for the label with Mel Tormé. This collaboration garnered Shearing and Tormé two Grammys, one in 1983 and another in 1984. In 2004, he released his memoirs, Lullaby of Birdland, which was accompanied by a double-album “musical autobiography”, Lullabies of Birdland. Shortly afterwards, however, he suffered a fall at his home and retired from regular performing. Shearing was a member of the Bohemian Club and often performed at the annual Bohemian GroveEncampments. He composed music for two of the Grove Plays. •	Performed at Royal Command Performance for Queen Elizabeth II and Prince Philip. •	1975, honorary degree of Doctor of Music from Westminster College, Salt Lake City, Utah. •	1978, Horatio Alger Award for Distinguished Americans. •	1993, Ivor Novello Award for Lifetime Achievement. •	1994, honorary degree of Doctor of Music from Hamilton College in New York. •	1996, included in the Queen’s Birthday Honours List and invested by Queen Elizabeth II at Buckingham Palace as an Officer of the Order of the British Empire for his “services to music and Anglo-US relations”. •	1998, the first American Music Award by the National Arts Club, New York City. •	2002, honorary degree of Doctor of Music from DePauw University in Indiana. •	2003, “Lifetime Achievement Award” from BBC Jazz Awards. •	2007, knighted for services to music.